YEAH, IT’S ONLY March, but phone season has begun for 2018. Dozens of new handsets were unveiled at Mobile World Congress, the largest smartphone show on Earth, (here are the highlights) and Samsung’s Galaxy S9 is already on its way to early birds. Also, Google is now circulating a developer preview of the next Android version, currently codenamed Android P.
With all this action, we’re beginning to get a picture of what smartphones in 2018 will look like. Here are some of the more interesting trends you may see on your next phone. It’s been years since smartphones didn’t all look mostly the same. In 2018, we can expect mobile manufacturers to once again get on the same wavelength—with that wave coming straight from Cupertino. Apple put a controversial notch at the top of its iPhone X screen and we’ve already seen Android phones start to adopt it. Asus has already shown off a line of phones with Apple’s new signature notch chopped out of the top, and the LG G7 and others will likely follow it into Notch City. With Google offering support for "display cutouts" in its early Android P developer preview, it looks like the notch invasion is just beginning. The Essential Phone already had a camera cutout in 2017. By year end, the phone market will be full of phones with really long, edge-to-edge screens, and a notch cut right out from the top. Many iPhone X users don’t seem to really like the notch, but don’t expect that to stop anyone. 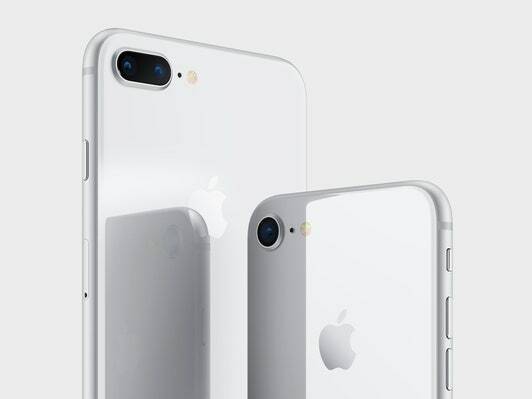 When the iPhone makes a design change, the industry tends to follow. If you were creeped out by Apple’s new face-tracking animated Animoji, you ain’t seen nothing yet. Samsung has already debuted “AR Emoji” on its Galaxy S9, which mimics your face in a Nintendo Mii style and animates it. Asus's Zenimoji are coming next, which look more like Apple’s version. And now that Samsung has its own Animoji, you can bet its Korean rival LG probably will soon too. Goofy animated faces, not to mention pigs and dogs, are just beginning to seep out of the woodwork. In its new developer preview of Android P, Google pulled the lid off a few tasty new things you’ll start to see on Android phones in the next year or two. As usual, Google's Pixel phone will get these features first, and the next Pixel is likely coming out around October. Once the new features launch on Google's flagship device, they'll start to trickle out to other phones. To start, Google is adding support for Wi-Fi 802.11mc, which will let it give more accurate indoor mapping directions in places like museums, casinos, universities, and malls that have shared their indoor layouts. New Android devices that support the wireless protocol will be able to ping nearby networks of Wi-Fi hotspots to pinpoint your position indoors and give more precise guidance. Google Maps may soon be your go-to app when you need to navigate an unfamiliar airport. Photos and pictures are also coming to Android notifications, along with those quick replies you may have seen in your Gmail, allowing instant responses right from the notification tray. Google introduced the idea of Instant Apps last year, and you’ll likely start to see more of them pop up in 2018. They’re stripped-down apps that don’t require installation. The goal is to end the annoying requirement of downloading and installing full apps to perform simple tasks. You can access these Instant Apps from a URL, just like webpages. Finally, security is getting a boost, too. You won’t be able to see it, but apps running in the background won’t have the ability to turn on your camera, microphone, or other sensors. Why they were ever allowed to do these things in the first place is a good question. Apple did away with its Touch ID sensor entirely on the iPhone X, but Android phone makers won’t, partially because most (or all) of them just don’t have the security in place to make facial recognition work as securely as it does with Apple’s new Face ID. Instead, fingerprint sensors on Android handsets have almost all been moved to the backs of the phones, making way for those edge-to-edge screens. This shift started years ago, thanks to innovations from companies like LG, but it’s the end times for home buttons and fingerprint buttons on the front of phones. You’ll be hard-pressed to find new devices coming out in 2018 that don’t use your index finger for biometric unlocking. 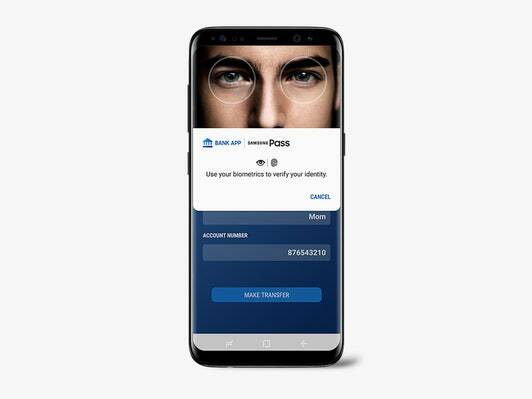 Facial recognition technology requires some strict security measures to be an effective way to verify a user's identity, and most Android manufacturers remain behind the curve. Even though many of the systems being demonstrated now can be fooled by a simple photograph, the big Android players will continue to show off new face detection unlocking features this year, if they haven’t already. They'll likely call it a new feature, even though several companies have been building it into their devices for a while. Remember: Google showed off basic, insecure face unlocking years ago. Most of the fanciest phones this year will run on Qualcomm’s Snapdragon 845 processor, a chip that has gigabit LTE capability built right into it. Qualcomm thinks it will offer a real-world speed boost of 20 percent over current phones, but the platform is capable of 1.2 Gbps speeds. The big holdup will be your wireless carrier. Providers like Verizon and T-Mobile are testing gigabit speeds, but bandwidth like that won’t be widespread for years. Your next phone will be a lot more capable than your wireless network. Other perks of the 845 processor include a new dedicated security chip to protect things like payment and fingerprint data, enhanced video capabilities, and some improvements to battery life. Most high-end phones already have dual rear cameras, but Android P will bake in more support for the feature, so you can expect a lot more mid-range and cheaper phones to start doubling up their camera hardware. Dual-camera setups use a second camera to more accurately judge depth (this is why you have two eyes) and offer features like 2x zooming, depth effects for portrait shots, and wide-angle photos. Some phone-makers, like Apple, do a great job utilizing the extra lens, but others still struggle to show a big improvement in photo quality. Who wants to take bets when we’ll see a tri-camera Android phone? It’s not as far off as you think. Rumors are swirling that Huawei is working on a camera with three lenses. Samsung has pushed wireless charging for years, but now that Apple has adopted the feature on the iPhone 8 and X, you can bet that the rest of the industry isn’t far behind. Here is a list of phones that have wireless charging now. Chances are high that your next phone will have it. We’ll also start seeing wireless charging stations pop up in places that aren’t McDonald’s and Starbucks. You may wonder: What’s on the horizon for 2019 and beyond? I won’t get too deep into it, but there are a few innovations worth getting excited about. 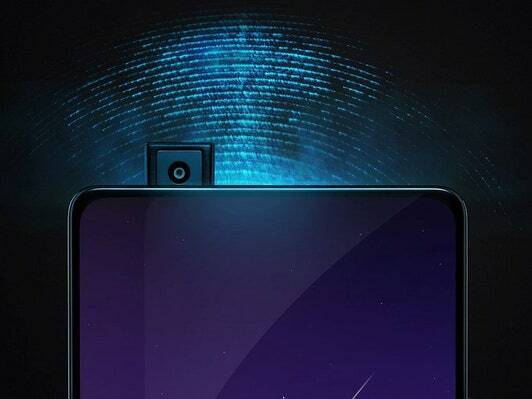 At Mobile World Congress in February, a company named Vivo showed off a concept phone named the Apex that had a fingerprint sensor and speakers built right into its screen. Features like these could become commonplace. Before it showed off Face ID, Apple was rumored to be testing a Touch ID sensor built into the iPhone X screen. Sony is already selling a Bravia TV with speakers built into its screen, as well. Smartphone companies have been pursuing foldable screens for many, many years, but they may finally arrive sometime soon. ZTE’s Axon M launched with a fold-out screen last year, and less clunky devices without hinges (or next to no bezel between the screens) are on the horizon. Such a device may even come from Microsoft. Redmond is believed to be working on a tablet-like device, codenamed Andromeda or possibly a foldable Surface Phone. Samsung and others have also filed patents for foldable device tech. But don’t start buttering that smartphone pretzel just yet. Unlike all the other features actually coming to phones this year, folding screens still have many wrinkles that need ironing out.